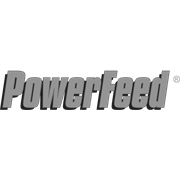 PowerFeed is made with a unique formula that combines the benefits of macro nutrients, fish and natural soil conditioners. 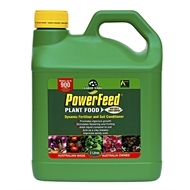 It boosts plant growth and vigour by providing nitrogen, potassium, trace elements, protein and amino acids. It also contains liquid compost, which stimulate beneficial soil microbial activity, promote good soil structure and increase nutrient availability, so PowerFeed looks after plants above and below the ground.